Monday 21 January 2019 – 6:30pm arrival for 7:00pm start at The Community Hub, Rastrick High School, Field Top Road, HD6 3XB. This entry was posted in Get Involved / Have Your Say, Jan, Rastrick and tagged calderdale, Calderdale Council, Have your Say, Rastrick High School, Ward Forum, West Yorkshire Police. Monday 15 October 2018 – 6:30pm arrival for 7:00pm start at Rastrick High School, The Technology Centre, Field Top Road, Rastrick, HD6 3XB. This entry was posted in Get Involved / Have Your Say, Oct, Rastrick and tagged calderdale, Calderdale Council, Have your Say, Rastrick High School, Ward Forum, West Yorkshire Police. Monday 9 July 2018 – 6:30pm arrival for 7:00pm start at The Community Hub, Rastrick High School. 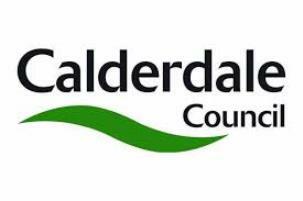 This entry was posted in Get Involved / Have Your Say, July, Rastrick and tagged calderdale, Calderdale Council, Have your Say, Rastrick High School, Ward Forum, West Yorkshire Police. Monday 16 April 2018 – 6.30pm arrival for 7pm start at The Community Hub, Rastrick High School.